Travel enthusiasts are very particular about packing stuff which they want to take along on the trip. Among the vital items that need consideration, shoes occupy a pivotal place for sure. Traveling is all about walking, exploring places and gathering great experiences. And this is simply not possible without the right pair of shoes. Many travelers carry 3-4 pairs of shoes for traveling so that they can be worn on different occasions and for different purposes. But usually only 1-2 pairs come out and the rest remain inside the packing only. 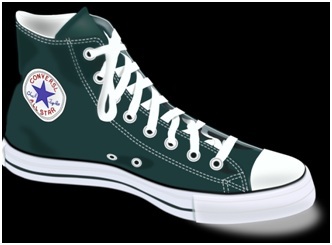 Converse shoes – If you are an avid traveler, who loves walking for exploring places, there is no better choice than Converse shoes for the same. If you are traveling during summer time, canvas converse will be great. Again for winter traveling, there is nothing better than the leather converse. Ballet pumps or ballet flats – Wear ballet pumps and flats all throughout the day without any kind of discomfort to the feet. Interestingly, these shoes can be worn with almost all kinds of attires with great style and comfort. Ballet pumps from Cocorose London need a special mention in this regard. Roll up and foldable shoes – If space is a problem in the luggage, try carrying roll up and foldable shoes during traveling. The greatest advantage of these shoes is that they can be folded and kept in a small pouch, which is extremely easy to carry. In fact these shoes get fitted inside a small purse easily. While out on a trip, pack these shoes in the small bag you carry and change if other shoes are not comfortable. Highly stylish shoes – If you thought that flat folded shoes are boring, you are highly mistaken. Check out collections from Cocorose London and you will be surprised to see the varieties available. You would definitely not want to have boring shoes while traveling. Add zing to the traveling experience with highly stylish flat, foldable shoes. High-quality leather/material used in the shoes – Usually the material which is used in the making of foldable shoes is of high quality. The leather is extremely soft and hence can be folded easily without the risk of breakage or damage to the leather. Since traveling requires walking and other strenuous activities, the soft leather keeps the feet pampered. Extremely comfortable – When your feet get tired, flat foldable shoes are excellent alternatives. Since they are made from best leather materials, your feet will feel extremely comfortable. You can walk many miles comfortably without hurting the feet in any manner. The feet can breathe with these shoes and remain fresh. Fits in small spaces – One of the greatest advantages of foldable shoes and ballet pumps is that they can be packed in a small pouch and tucked in the luggage comfortably. No additional space is required for packing the shoes while traveling. Cocorose London offers highly stylish and extremely comfortable ballet pumps and foldable shoes at the most affordable rates. Choose from the collections and see which one fits best in your travel needs.